After August 29, 2016, eligible spouses and adult children of lawful permanent residents, and others as outlined below, will finally be able to take advantage of the provisional waiver. Up until now, this waiver has only been for spouses of US citizens and certain individuals with U.S. citizen parents. The Department of Homeland Security announced the changes on July 28, 2016. Provisional waivers exist because obtaining lawful residency is not just as easy as marrying a US citizen or permanent resident. Many spouses, unmarried minor children, and parents of U.S. citizens, and spouses and unmarried minor children of residents, are eligible to apply for their permanent residency based on their relationship to the U.S. citizen or resident. And see here for discussion of other ways to get a green card. But according to legal requirements, some of these individuals cannot apply within the U.S. and must leave to apply for their residency from their home country at a U.S. consulate. This process is known as consular processing. Upon departure, however, many of individuals are subject to a law which bars them from returning to the U.S. for a period of time (three or ten years), for which they must seek a waiver (unlawful presence waiver) to allow them to reenter the U.S.
Before the I-601A, individuals who required a waiver had to wait in their home country while the waiver was adjudicated. Starting in 2013, however, qualifying immediate relatives (spouses of U.S. citizens and parents of U.S. citizens who are over 21), who could show hardship to a U.S. citizen spouse or parent, were eligible to apply in the U.S. prior to leaving for their interview at the consulate abroad. The provisional waiver greatly reduces the length of time U.S. citizens are separated from their relatives, reduces the risk involved in the process, and creates a more efficient waiver process. 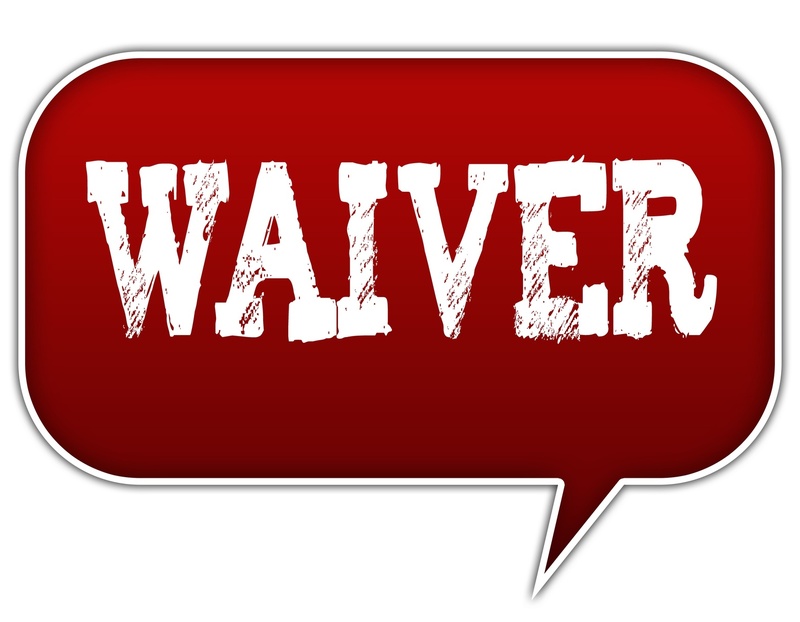 For a more detailed overview of these waivers, see our blogs here and here. 2013 rule: Originally, only immediate relatives of U.S. citizens, who could show hardship to a U.S. citizen spouse or parents, could apply for the I-601A; in practice, it has largely been spouses of U.S. citizens who are able to take advantage of the waiver. 2016 rule: The new I-601A will require a showing of hardship to a U.S. citizen or lawful permanent resident spouse or parent. One large group of people who will benefit from this change is spouses and children of lawful permanent residents. But the change expands to an even larger group of people: anyone who is eligible for an immigrant visa, as long as he/she can show hardship to a U.S. citizen or resident spouse or parent. You can be eligible for an immigrant visa (residency) through family, employment, or diversity or special immigrant categories. Additionally, the new I-601A will include spouses and children who are part of the main immigrant’s application (known as derivatives). 2013 rule: Originally, the I-601A was limited to qualified individuals who did not have any orders of deportation. 2016 rule: Now, individuals with final orders of removal, deportation, or exclusion will also be able to apply for the I-601A. Such individuals need a waiver of their deportation (I-212) in additional to their unlawful presence; now, they will be able to apply for the I-601A if they have filed a Form I-212 application seeking consent to reapply for admission and such an application has been conditionally approved. 2013 rule: Originally, otherwise eligible individuals could not file the I-601A if they had already been scheduled for an interview abroad on January 3, 2013 (the date when the I-601A was first announced). 2016 rule: The old cut off dates do not apply. If there are any individuals who remained in the US and did not attend their appointments abroad, they may be able to file for the I-601A now. No more “reason to believe:” DHS is scrapping the current requirement that USCIS deny a provisional waiver if USCIS has “reason to believe” that the applicant may be subject to a ground of inadmissibility other than unlawful presence at the time of the immigrant visa interview abroad. However, if when the individual with the approved I-601A goes abroad to her immigrant visa interview, and at the interview, the DOS officer finds her to be inadmissible on grounds other than unlawful presence (which were forgiven or “waived” by the approved I-601A), the I-601A will be automatically revoked. New form: USCIS will release an updated version of the I-601A form on August 29, 2016. I-601A waivers are still mainly for unlawful presence: Provisional waivers are still available only to those who are present in the U.S., who must apply for immigrant visas at U.S. embassies or consulates abroad, and who at the time of the immigrant visa interview may be inadmissible based on the accrual of unlawful presence under INA § 212(a)(9)(B)(i). (Now, you can also be inadmissible for a prior order of deportation, as explained above). But if you or your relative needs a waiver for a criminal conviction, or fraud, or anything else, you will still not be able to apply for the I-601A. Extreme hardship remains the standard: You must show that your qualifying relative (U.S. citizen or resident spouse or parent) will suffer extreme hardship if you have to remain abroad if your waiver is not approved. Individuals still need to go abroad for visa interview once the I-601A is approved: Individuals who are required to apply for a visa from their native country must still do so. But they will go to their visa interview with an approved I-601A. (However, as the DHS carefully notes, an approved I-601A does not mean that you will automatically be found admissible at your interview and granted residency; it is very important that you consult with a lawyer to determine whether or not you are eligible for residency before you apply for the I-601A and leave the U.S. for your interview). Still no appeals or reconsideration: As with the existing provisional waiver, there is no appeals or reconsideration process if the I-601A is denied. But, as before, individuals may file a new application, with a new fee. These changes become effective August 29, 2016. If you are interested in a consultation regarding your eligibility for provisional waivers, please contact Minsky, McCormick & Hallagan, P.C.